For Thanksgiving dessert this year, I thought I would do an ice cream that went with the apple, pumpkin and gluten-free peanut butter pies that were on tap. While shopping with The Sister, I suggested a straight vanilla bean option. I was scolded, in the middle of the produce section, for being boring. 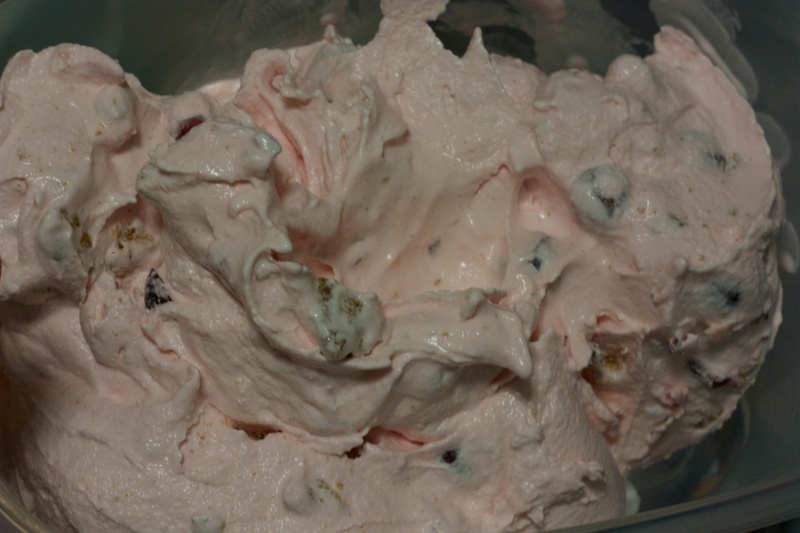 The thought of cranberry ice cream had crossed my mind, but I figured it would be roundly panned by the crowd. I said as much, to which The Sister told me to mix it with something. “Do cranberry and orange, or cranberry and ginger, or cranberry and ginger snaps.” The first two didn’t really sound appealing, but the last was something I could do gluten free, in case The Kid wanted some. 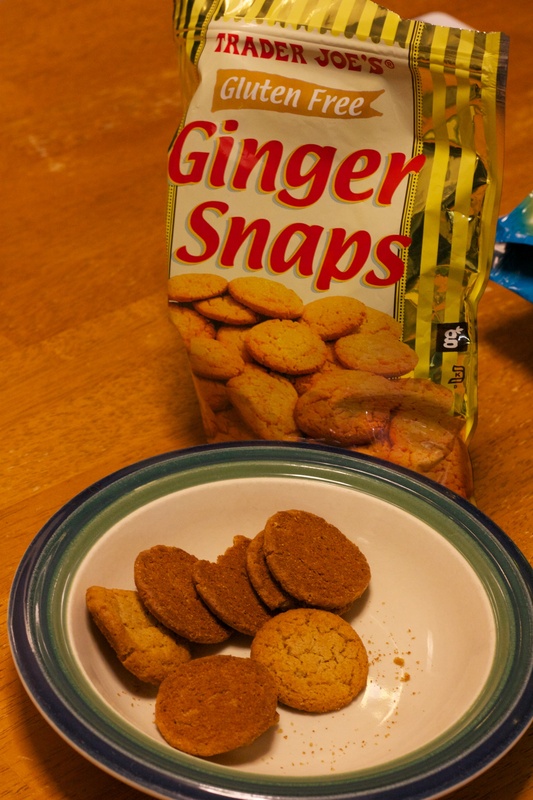 During our last trip to Trader Joe’s, we grabbed gluten-free ginger snaps. They passed the taste test for the adults and The Kid. While a little spicy at the end, they are rather good. The key to a cookie mix-in for homemade ice cream is waiting. The vast majority of electric ice cream makers will have your mix done and ready for freezing in about 20 minutes. For the purposes of the recipe, you shouldn’t mix in a cooking until there is about 16 or 17 minutes to go, otherwise you’ll end up with sogginess. Oreo cookies just dipped in milk should be slightly soggy. Cookies mixed into your ice cream should not. Whisk together heavy cream, milk and sugar in a deep mixing bowl. Add salt, vanilla and nutmeg and whisk again until well combined. Set aside. 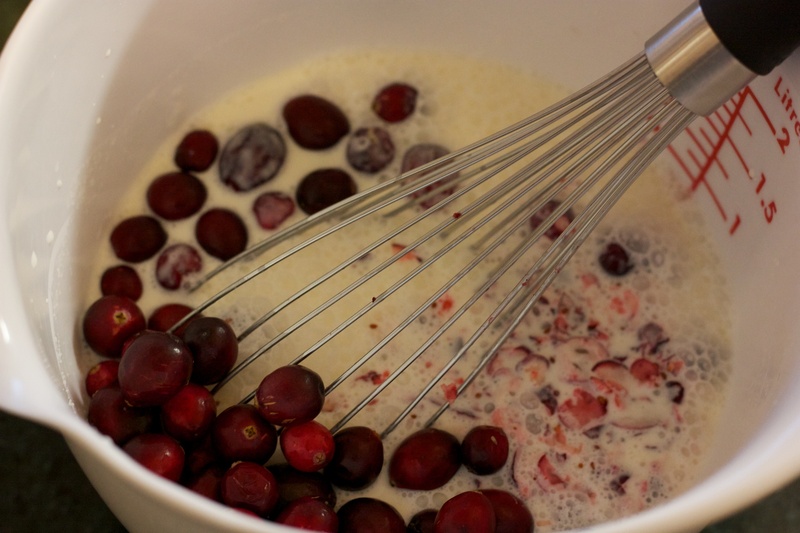 Take one portion of cranberries and pulse with a blender, immersion blender or food processor. Add to the cream mixture, along with the other portion of berries. Use the whisk to slowly mix, then pour into the ice cream maker. Run maker at its normal setting for the manufacturer’s recommended time. With 3 to 4 minutes remaining, add the crushed cookies. 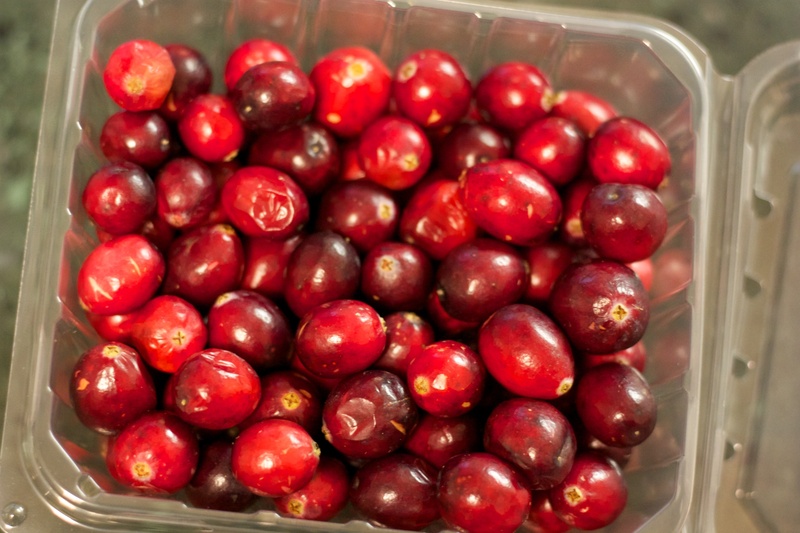 Remove, transfer to a container and freeze for at least four hours.